Below you fill find all funeral homes and cemeteries in or near Webster City. Webster City is also known as: Hamilton County / Webster City city. Zip codes in the city: 50595. Some of the notable people born here have been: Jennifer Barringer (track and field athlete), Carla Nelson (legislator), and Jinxx (musician and multi-instrumentalist). Webster City is a city in Hamilton County, Iowa, United States. The population was 8,070 at the United States 2010 Census. It is the county seat of Hamilton County. Webster City is known as 'Boone River Country' as the Boone River meanders along the east side of the city. It was disclosed by Grand Island Independent on March 4th, 2019 that Beth E McConnell (McPhillips) passed away in Grand Island, Nebraska. Ms. McConnell was 80 years old and was born in Webster City, IA. Send flowers to share your condolences and honor Beth E's life. It was written by Kane County Chronicle on January 31st, 2019 that Jeffrey K Hoyt passed on in Sugar Grove, Illinois. Hoyt was 67 years old and was born in Webster City, IA. Send flowers to express your sorrow and honor Jeffrey K's life. It was revealed on December 15th, 2018 that Barbara Smith (Buxton) perished in Overland Park, Kansas. Ms. Smith was 82 years old and was born in Webster City, IA. Send flowers to share your condolences and honor Barbara's life. It was disclosed on November 16th, 2018 that Dennis Noel Godsell died in Texas. Godsell was 83 years old and was born in Webster City, IA. Send flowers to express your sympathy and honor Dennis Noel's life. It was written by The News Tribune on September 9th, 2018 that Patricia Ann "Patty" Morgan (Severson) passed away in Tacoma, Washington. Ms. Morgan was 72 years old and was born in Webster City, IA. Send flowers to share your condolences and honor Patricia Ann "Patty"'s life. It was written by San Diego Union-Tribune on March 29th, 2018 that Marcia Marianne McCulloch (Murphy) perished in Torrance, California. Ms. McCulloch was 80 years old and was born in Webster City, IA. Send flowers to express your sympathy and honor Marcia Marianne's life. It was reported by Des Moines Register on February 13th, 2018 that Everett Asmus passed on in Webster City, Iowa. Asmus was 72 years old. Send flowers to share your condolences and honor Everett's life. It was noted by Des Moines Register on October 28th, 2017 that James Sr Irving died in Webster City, Iowa. Irving was 82 years old. Send flowers to express your sorrow and honor James Sr's life. It was reported by Des Moines Register on October 20th, 2017 that Verna Elaine Weieneth (Gantenbein) passed on in Webster City, Iowa. Ms. Weieneth was 92 years old. Send flowers to express your sorrow and honor Verna Elaine's life. It was revealed by Orange County Register on September 17th, 2017 that Lynn Loper (Loper) passed away in California. Ms. Loper was 84 years old and was born in Webster City, IA. Send flowers to share your condolences and honor Lynn's life. Electrolux has a large plant here manufacturing washing machines/dryers, and employs about 2,000. The population was 8,176 at the United States Census 2000 census. Webster City is located at a junction of lines of the Canadian National and Union Pacific Railroads. 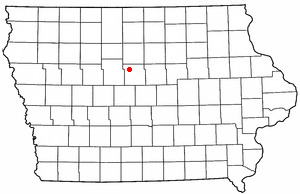 It is the county seat of Hamilton County, Iowa County . Webster City is a city in Hamilton County, Iowa County, Iowa, United States. Vern was born July 21, 1928 in rural Webster County, Iowa, to Frederick and Ada (Hollingsworth ... Interment will follow at Lakeside Cemetery in Canon City. Arrangements handled by Wilson Funeral Home. Leila was born September 9, 1923, in Webster City, IA to Orin and Erma (Foster ... Memorial contributions to The Christos Food Center would be appreciated. Funeral Mass will be Saturday, 11:00 a.m. at St. Pius X Catholic Church. Foster Funeral and Cremation is dedicated to serving the families of Webster City, Iowa, and the surrounding communities. Hamilton County Speedway - Racing Every Saturday Night! Provides a 1/2 mile, semi-banked, dirt oval track in Webster City. Includes schedule, points, race results, photographs, rules, news and links. Janice A. Payne, 64, of Webster City, died Tuesday, June 8, 2010 at the Mercy Medical Center in Des Moines. Funeral services will be held 1:00 p.
We work with local florists and flower shops to offer same day delivery. You will find budget sympathy flowers in Webster City here. Our funeral flowers are cheap in price but not in value.